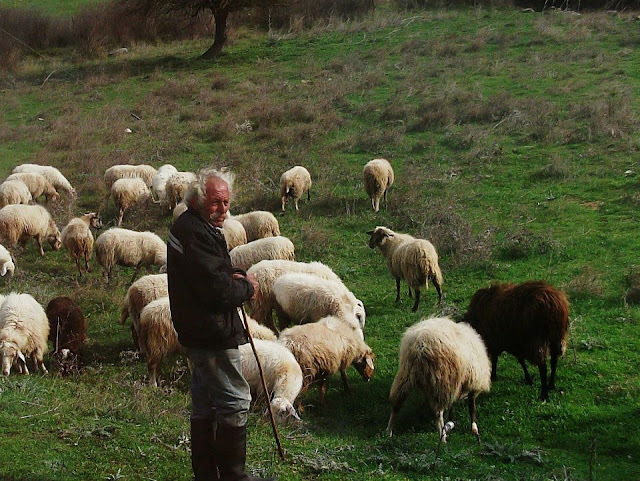 Before heading to Nafplion, we visited Mycenae, Tiryns, Argos and Epidaurus, all of which are in close proximity to one another. This allowed us an amazing drive into the countryside. The country side reminded me of northern Pakistan. 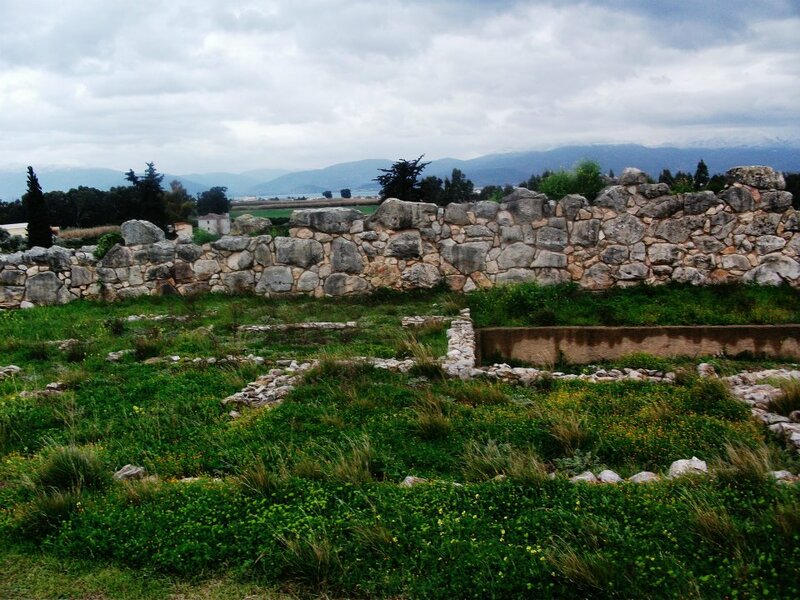 Our first stop was Mycenae, where we visited the Mycenae Archaeological Site. 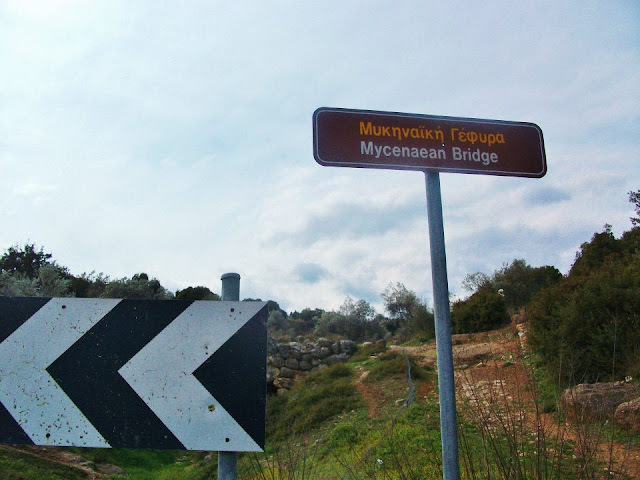 Most people know of Mycenae from the story of the Trojan horse. 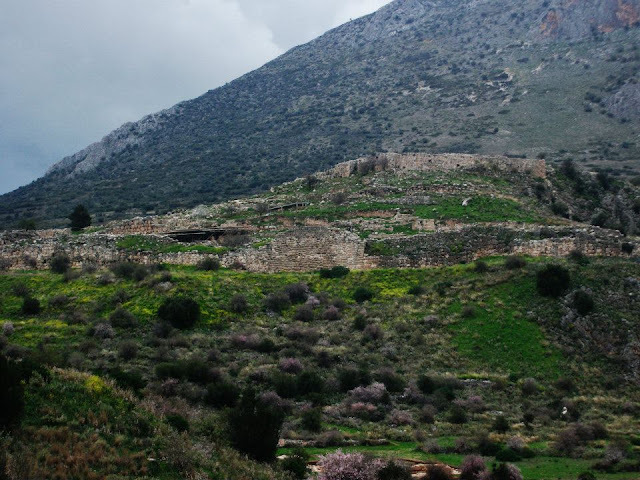 Mycenae was once a mighty kingdom of Ancient Greece, and its ruler, Agamemnon, was considered one of the greatest of them all. When Helen, his brothers wife, was abducted by Paris, the Trojan prince, the history of Greece was consequently about to come into one of the most famous phases: The Trojan War. Mycenae is also on top of a hill, so it was another acropolis. 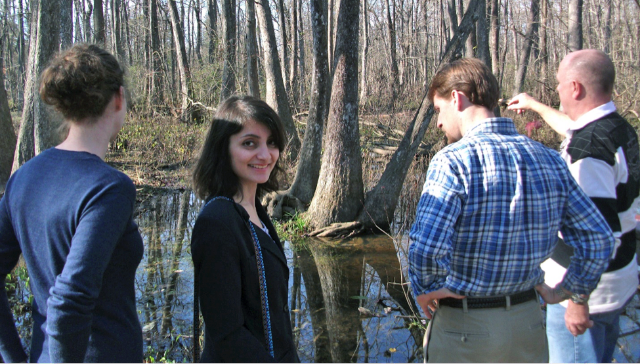 At the top, we visited Grave Circle A and saw part of the Cyclopean Wall marking the end of the fortification. Fortunately this place was not crowded by tourists so we could recreate each room well, thanks to excellent tour leaders. 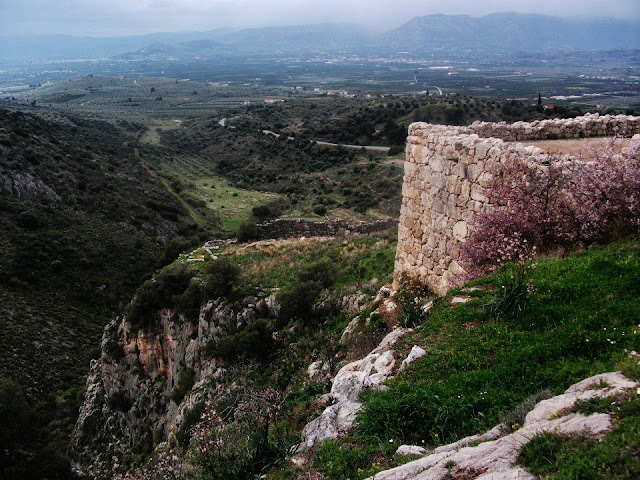 The quiet majesty of the enormous stone-built defenses and singular natural setting seem even more to evoke the former power of this strategically positioned citadel – once inhabited by kings, queens, warriors and priests during the great Late Bronze Age era of Greek heroes. The view on top of the fortress is amazing and the weather was divine. 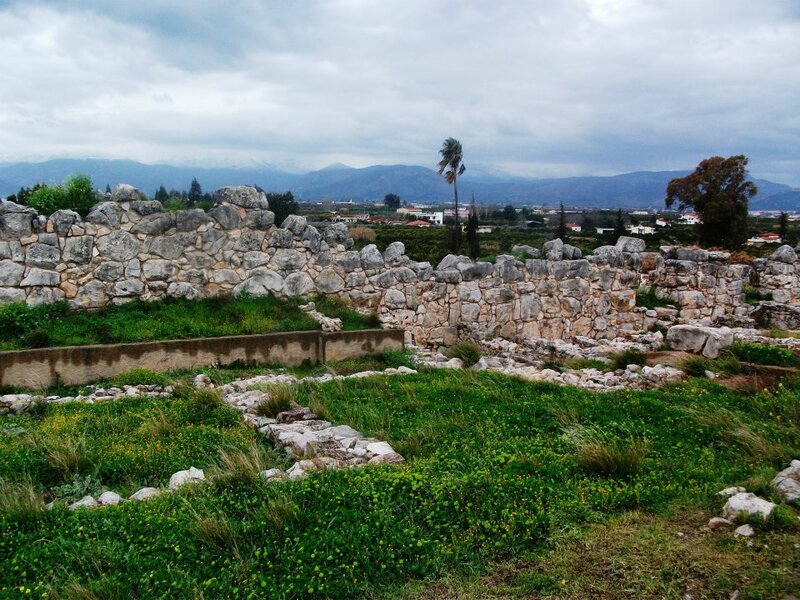 Imagine that Greek kings and queens lived here! From there, we visited the Lion Gate which is the main entrance of the Bronze Age citadel of Mycenae. It was erected during the 13th century BC in the northwest side of the acropolis and is named after the relief sculpture of two lionesses or lions in a heraldic pose that stands above the entrance. You can see the two lionesses flank the central column, whose significance is much debated. 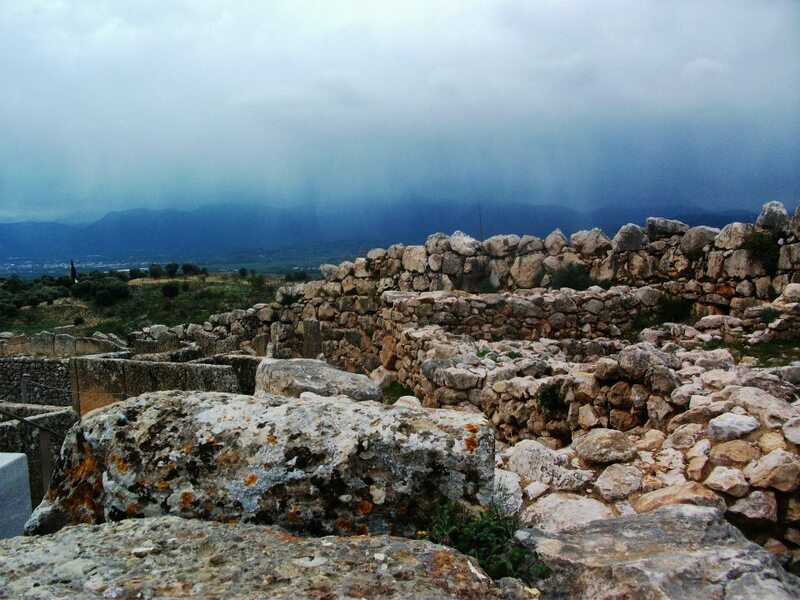 At the site was also the Treasury of Atreus or Tomb of Agamemnon. 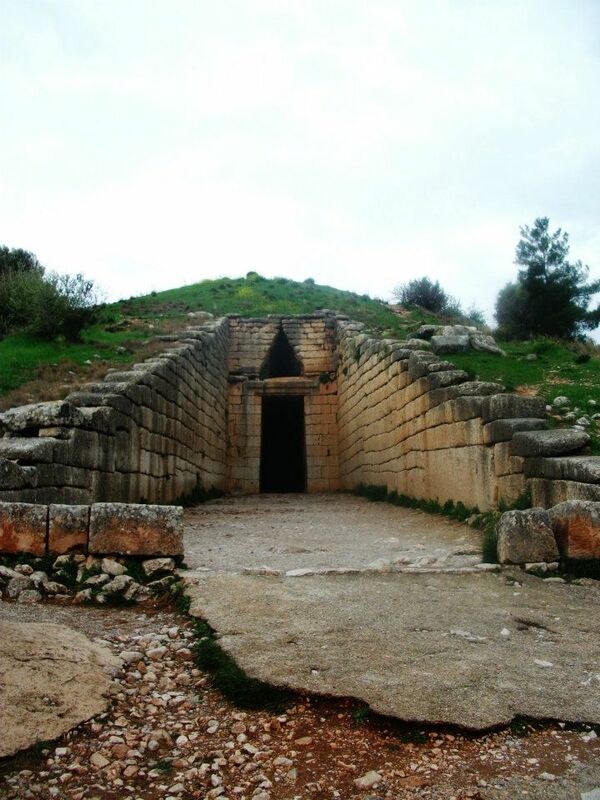 It is a large "tholos" (beehive) tomb on the Mycenaen hill, constructed during the Bronze Age around 1250 BC. The beehive tomb was decorated with columns of red and green “Lapis Lacedaimonius” brought from quarries over 100 km away. Once we were done with Mycenae, we headed to Tiryns or rather the acropolis of Tiryns, a hill fort with occupation ranging back seven thousand years, from before the beginning of the Bronze Age. The most famous thing in Tiryns is the megaron of the palace of Tiryns. The complex includes the the reception hall, the main room of which had a throne placed against the right wall and a central hearth bordered by four Minoan-style wooden columns that served as supports for the roof. The ruins amidst the mountains were majestic. 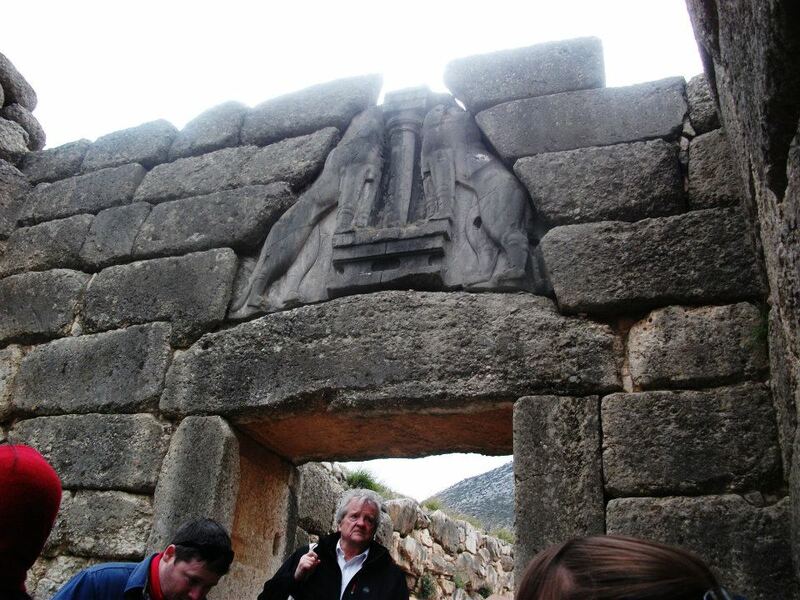 Once done, we took a detour to Argos to see the Temple of Hera. Finally, from Argos, we headed of the visit the sites of Epidavrus. 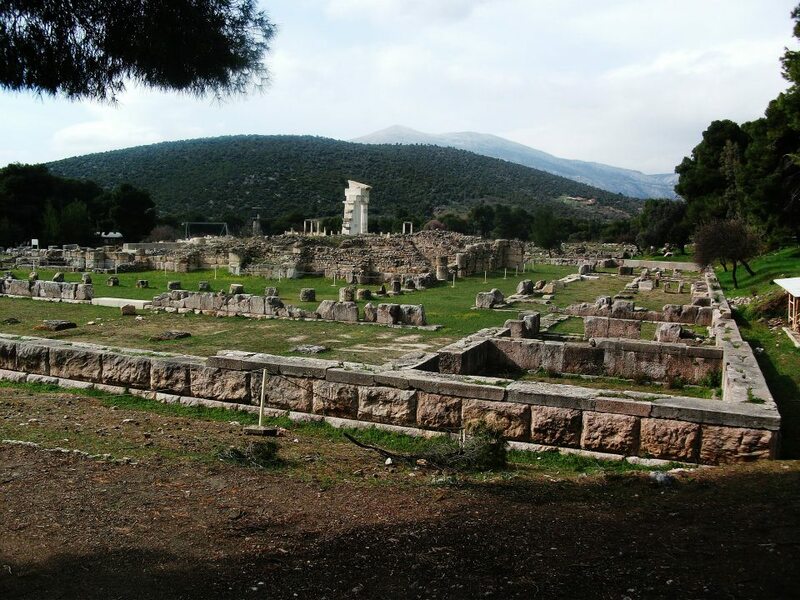 The main archeological site there was the Ancient Theatre of Epidaurus and the Sanctuary of Asklepius. 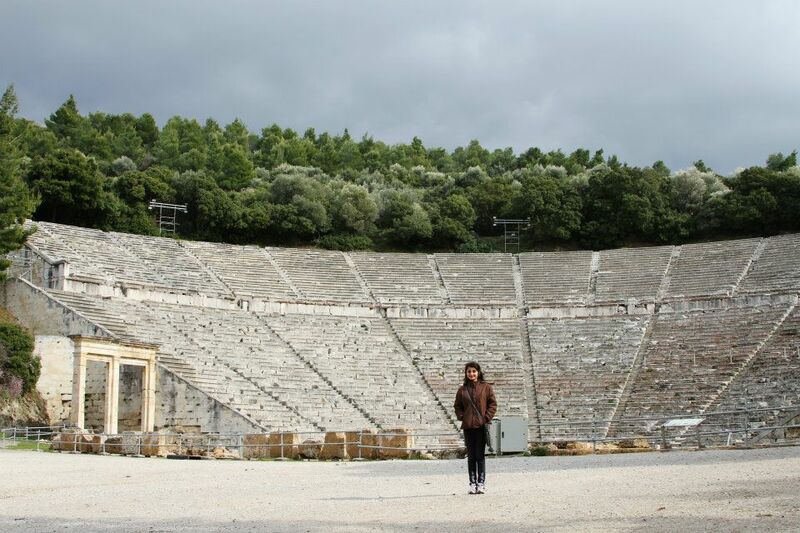 The theater was constructed in the late 4th century BC and was designed by Polykleitos the Younger in the 4th century BC and it still operates today during the summertime. 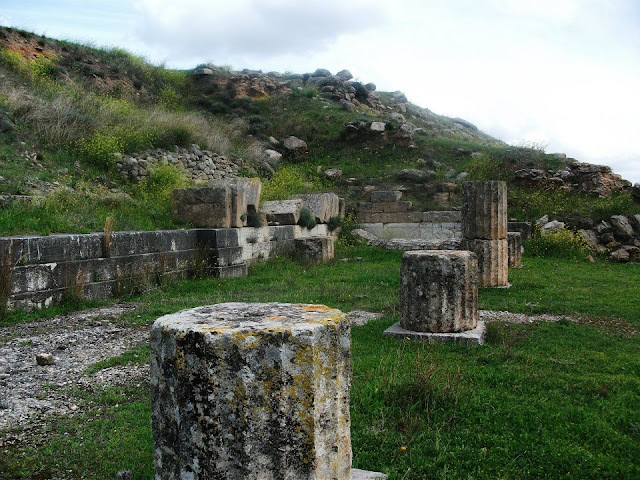 At the same site was also the Temple of Asclepius. Asclepius was the god of medicine and healing in ancient Greek religion. On the way, we also visited the shrine of Hera - or what remains of it - in Argos, between the archaeological sites of Mycenae and Midea.